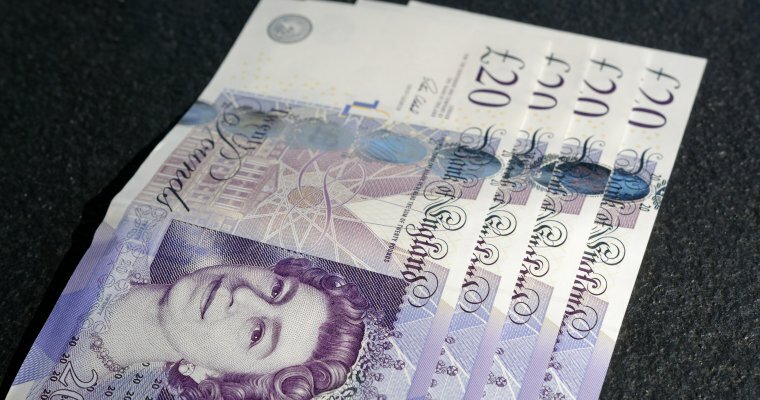 As with all investments capital is at risk and the value of investments and the income from them can go down as well as up and investors may not get back the amount originally invested. Back in February, a newspaper article caught my eye: ‘Money saving tips to make your child a millionaire’. I obviously had a peek and loved what I read because it is such a simple idea! The reality is it isn’t an article about tips. It’s one really straightforward tip – get a pension open for your child as soon as they are born. Children’s pensions aren’t something I had really considered before for my children but the article was eye opening. 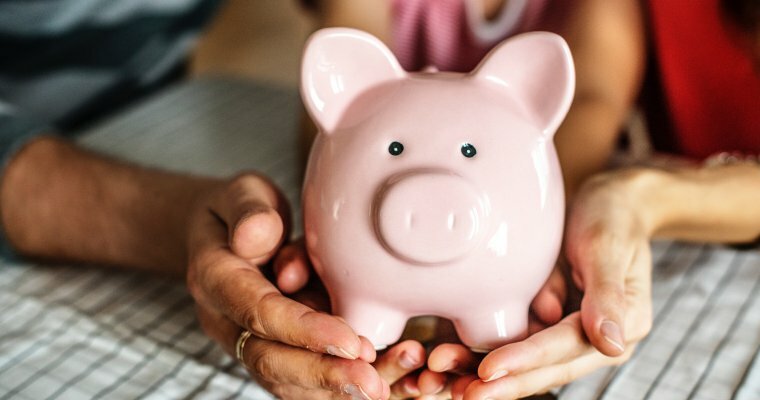 In the article, Rob Gardner, a campaigner for financial education and co-founder and CEO of Redington, says that if you put £5.50 aside every day from the day they are born until your child reaches the age of 10, this can grow into a £1 million pension pot by the time they reach 65. You wouldn’t need to contribute anything else after their 10th birthday. Here’s how it works. Pension contributions attract tax relief so with this additional money from the government, your £5.50 is actually £6.88 per day. Plus, over time, your pension pot will roughly double every decade due to the power of compound interest. The secret is to start saving as early as possible – open a pension for your child. You get 25% free from the government. And you can expect your investment to roughly double every 10 years. So the earlier you start, the more they will have when they choose to retire. Much as £1 million pension pot for your children sounds fabulous, how many people can realistically afford to put away £5.50 a day? Especially if they have more than one child. I was speaking to a colleague at work the other day and something she said really made me think. She said ‘I could lose a pound coin down the sofa every day’. So last week I had a chat with Rob about what the numbers look like if you save £1 a day. I’m sure it’s not just me that thinks that £420,000 is a pretty amazing gift to your child for the sacrifice of the cost of a cup of coffee every other day during their childhood. 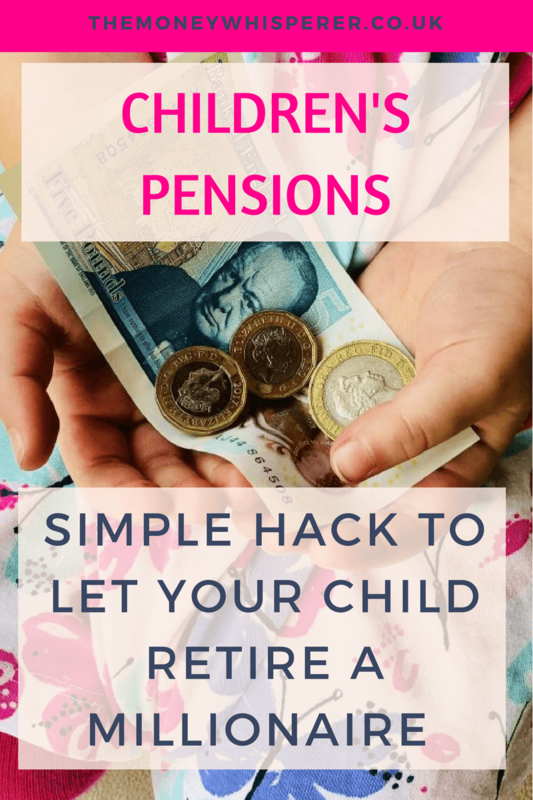 Setting your child up with a pension and making regular savings in to it while they are children means that when they start work, they already have a head start on their pension. They can then focus their savings in the early years of their working lives on short term goals whilst their pension continues to grow for them. Doubling away every 10 years. The last part of what Rob says here is really powerful. We all know that the experts say we should start saving in to a pension as soon as we start working to benefit from the power of compounding. Imagine being able to give your children a head start with their retirement savings so that when they start working, they can focus ALL of their efforts on achieving those short term goals. The investments you made for them in their early years would keep doubling away for them in the background. We currently invest in to JISAs each month for our girls. My discussion with Rob has helped me consider that by spreading that investment across a JISA and a pension, we can give them the best of both worlds. A JISA will legally belong to a child from the time that they turn 18. Some children will choose to use it to pay towards further education or a deposit for a house. Others could fritter it away on nothing in particular. I’d hope my girls won’t spend the money we have saved for them on useless things but who really knows. Do you know your future 18 year old child? What will they do? I’d like to be able to give my own children some money to give them a great start in life as adults, but also, a great start for their longer term future as well. I am opening up a pension for them both this month so will be writing about my experience of the process to help anyone else encouraged by this great savings tip. I’ll also be clarifying what the limits are for children if you are fortunate enough to be able to invest more than £1 a day. « Women are better than men in most things… including this! Wow this is an amazing idea! I had no idea that you could set up a pension before you had a job (a common misconception maybe?) will be investigating setting this up now for my 3 year old! I have 2 children and i had no idea i could set them up a pension! such a great idea though. Thanks Michelle – and well done to your son, that’s great! It’s a possible IHT and tax planning strategy for the rich. But for everyone else? Unless you can afford to do this and also give your child enough money for a house deposit, and preferably pay off their student loans as well, is this really a good use of your money? I can imagine the child turning round in their mid 20s and say they are unable to buy a house or to take time off on maternity leave to start a family. If you are worried about them having access to the money at 18, why not just keep it in your name until it is needed. With both parents having a 20k ISA allowance not many families will be saving more than that each year. A lot of interesting points here Sara. Personally, I am going to split the money I am currently putting in to a JISA between the JISA and pension so they get a kick start for adulthood AND retirement. Others may decide for their children that short term goals are more important and therefore choose to direct savings there. Either way, deciding early to start saving for your children is great as the power of compounding starts when you start! 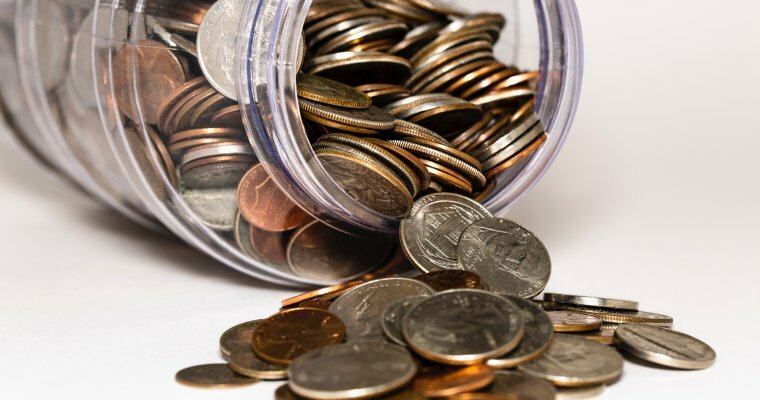 The lifetime allowance point is valid but pensions rules will undoubtedly change significantly between now and when my 4 year old retires – I’d rather get started and worry about this when she is employed in adulthood. It will be a nice problem to have right? 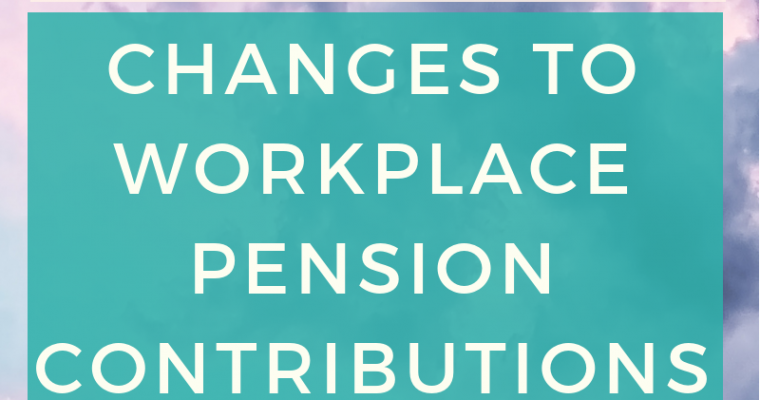 Interestingly, Redington (Rob’s company) are introducing a modern approach to employer contributions to employee savings; they will contribute to savings vehicles which aren’t just pensions. I think more and more employers will follow with this flexibility. From an employee perspective, this then reduces the concern about the lifetime allowance as savings can be funneled elsewhere. Thanks for your contribution Sara! Sooo…. How do you actually go about opening a pension? Watch this space for another post on this! Hi Claire, I’m waiting for Vanguard to launch their SIPP. It was due for launch this summer but still not out yet. Still waiting…. I’m still waiting for Vanguard to introduce theirs… there are other options but I believe they will be really competitive on fees and fees make all the difference when it comes to growing your pot!